The solitude of the rolling plains of western North Dakota provide a fitting location to memorialize the families who sacrificed and endured the rigors of homesteading the open prairie. The remote location allows visitors to get a feel for what an authentic homestead farm was like and to gain an understanding of the people who made a success of homesteading the prairie. 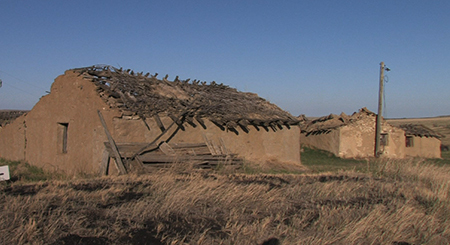 Like other Ukrainian and German–Russian homesteaders, the Hutmachers used stones, clay and trees from the immediate vicinity to build their homes. The site allows one to drift back in time to experience a homestead farm as it might have appeared over 100 year ago. The Hutmacher App brings the experience of visiting the Hutmacher Homestead to life. The site’s seven story lines are told using text, images, audio and video.